On June 16, 2017, U.S. President Donald Trump announced a return to the strict policies surrounding American travel to Cuba that existed before former President Barack Obama softened the country's stance in 2014. At that point, Americans were no longer allowed to visit the country as individuals under the "people-to-people" program and most travel would be done by guided tours run by licensed providers. Visitors were required to avoid financial transactions with military-controlled businesses within the country, including certain hotels and restaurants. Since there are financial implications under this change in policy, the U.S.Department of the Treasury has issued a Cuba Fact Sheet which covers restrictions on travelers to Cuba. However, it appears that Americans can still travel to Cuba independently under some of the eleven categories of allowed travel. Categories include travel for humanitarian purposes and in "support of the Cuban people." It also appears that visitors can conduct transactions while visiting at local restaurants and shops as long as they are not affiliated with the dis-allowed government entities. In fact, in doing so you are "supporting the Cuban people." With these changes, some airlines have stopped flying to Havana, while others continue to do so. Cruise ships continue to take passengers to Cuba and offer group tours from the ships. As of August 23, 2018, the United States Department of State issued a Level 2 Advisory for Cuba travel which states, "Exercise increased caution in Cuba due to attacks targeting U.S. Embassy Havana employees resulting in the drawdown of embassy staff. Numerous U.S. Embassy Havana employees appear to have been targeted in specific attacks. Affected individuals have exhibited a range of physical symptoms including ear complaints and hearing loss, dizziness, headaches, fatigue, cognitive issues, visual problems, and difficulty sleeping. Attacks have occurred in U.S. diplomatic residences (including a long-term apartment at the Atlantic) and at Hotel Nacional and Hotel Capri in Havana." 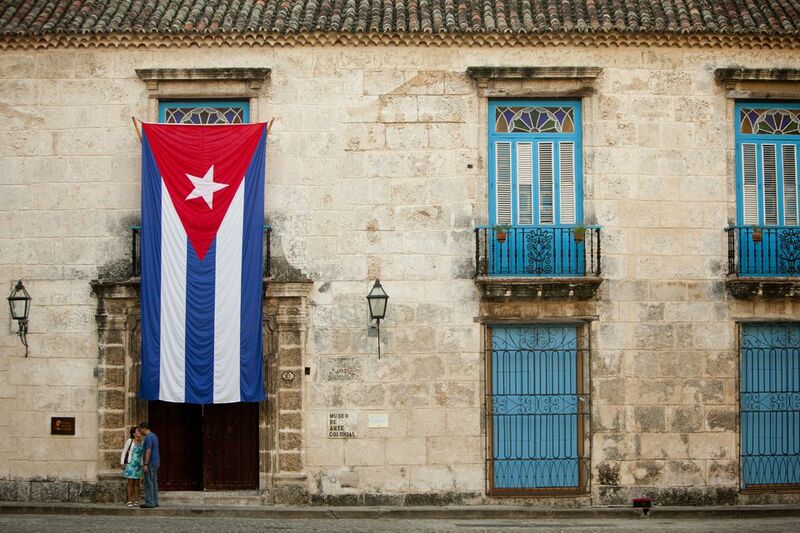 The U.S. Embassy in Havana is operating with reduced staffing. Family members cannot accompany U.S. government employees who work in Cuba. Only U.S. diplomatic staff were affected by the attacks. No tourists were involved. The U.S. government has limited travel to Cuba since 1960 after Fidel Castro came to power, and to this day, travel for tourist activities remains controlled. The American government limited sanctioned travel to journalists, academics, government officials, those with immediate family members living on the island, and others licensed by the Treasury Department. In 2011, these rules were amended to allow all Americans to visit Cuba as long as they were taking part in a "people-to-people" cultural exchange tour. The rules were amended again in 2015 and 2016 to effectively allow Americans to travel solo to Cuba for authorized reasons, without getting prior approval from the U.S. State Department. Travelers were still required to prove that they engaged in authorized activities if asked upon return, however. In the past, authorized travel to Cuba typically took place via charter flights from Miami; scheduled flights by U.S. airlines had long been illegal. But President Obama's new Cuba travel rules opened up direct flights from the U.S. to Havana and other major Cuban cities beginning in the fall of 2016. Cruise ships once again started calling on Cuban ports. It was once illegal for any U.S. visitors to bring back any purchased goods from Cuba, such as cigars, and it was also is illegal to contribute to the Cuban economy in any way, such as by paying for a hotel room. However, travelers were then free to spend unlimited amounts of U.S. dollars in Cuba and could bring home up to $500 in goods (including up to $100 in Cuban rum and cigars). Some U.S. citizens—tens of thousands, by some estimates— skirted the U.S. travel regulations by entering from the Cayman Islands, Cancun, Nassau, or Toronto, Canada. In the past, these travelers would request that Cuban immigration officials not stamp their passports to avoid problems with U.S. Customs upon returning to the U.S. However, violators faced fines or more severe penalties. It's still not easy to spend dollars in Cuba: U.S. credit cards generally don't work there (although there are some ATMs at banks in the largest cities), and exchanging dollars for convertible Cuban pesos (CUC) includes an extra fee that's not charged to any other international currency. That's why many savvy travelers take Euros, British pounds, or Canadian dollars to Cuba and so you'll need enough cash to last your whole trip, given the lack of credit card acceptance.